Before the SDF-3 left Earth provisions were set up regarding the creation of mecha for Zentraedi troops. The rules provided for advanced, yet inherently inferior mecha which could easily be overpowered by other mecha should the Zentraedi rebel against the REF. 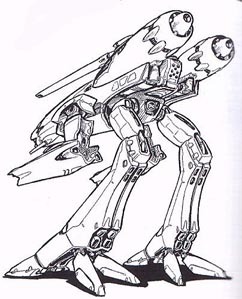 Third Invid War, REF scientists began developing new mecha designs, one of which was a Zentraedi style design geared more toward Zentraedi troops whom have been acclimated to the more advanced technology of the REF. The VF-1Z is a two mode Advanced Variable Fighter based on the capable Zentraedi Officers Battle Pod of Robotech Masters origin. The mecha proved to be more agile than it's predecessors in Battle Pod configuration, mounting more powerful weapon systems and heavier armor. 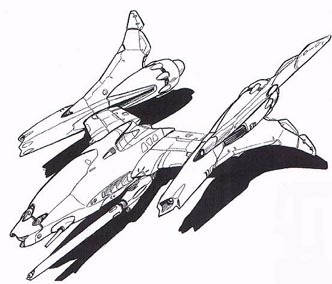 In fighter configuration the craft if the equal to any Veritech in fighter mode. the VF-1Z saw action at the end of the Third Invid War, and in the years that followed, and gained popularity with both Zentraedi and Human pilots, leading to the commonality of integrated fighter squadrons as the years passed. Five hundred units were produced during the third Invid war. Many of the units survived their initial encounters with the newly reconstituted Invid forces and helped the resistance groups on Earth continue the fight. Crew: One human sized pilot wearing Tactical Life Support System. * Destroying the nose sensor cluster of the VF-Z1 will knock out the mecha's major sensor systems, including all of the optics systems (infrared, night vision, thermal). Radar and communications will be unaffected. ** Depleting the MDC of the main body will destroy the mecha. 50 ft (15 m) high or 70 ft (21 m) long without thrusters. Mach One (670 mph/1072 kmph) maximum speed limit in an Earth-like atmosphere. Can also hover in place indefinitely. 2 x Pratt & Whitney ZX929M [Main] Fusion plasma-air/reaction mass intermix turbines: Max thrust, 75,200 kg of thrust each. 6.91m at shoulders in soldier and gerwalk configuration. 15.36m with wings at maximum extension. 150 lit. D2O reactant for fusion engines. RRG PB-19 PARTICLE BEAM CANNON: Designers felt that the main weapon should be based off a standard Zentraedi design. To this end they upgraded the PB-19 found on the Glaug Zentraedi Officer Pod. The PB-19, unlike its predecessor, is able to fire 60 MJ bursts up to fifty times per minute to a range of 7 kilometers. The Zentreaedi members of the REF took an instant liking to this weapon as it was able to destroy large numbers of Invid at extreme ranges without the necessity of ammunition. 2 x RRG PBC-12b PARTICLE BEAM CANNONS: Each weapons arm mounts two PBC-12B cannons. Each cannon fires 25 MJ bursts of energy out to 2.4 kilometers. These cannons can fire at twice the rate but only at 75% of the range and 50% of the damage potential. Each cannon can rotate 30 degrees to each side in tandem, rotate up to 10 degrees to each side, and -10 to +30 degrees independently. DAMAGE: 5d10+25 for each single shot or 10d10+25 for each dual shots. For GM's sanity this could be translated as 3D4*10 for each single or 6D6*10 for each dual. RATE OF FIRE: Four times per melee for each gun. The guns can fire at 1/2 damage however the rate of fire is doubled. 2 x COLT E-19B LASER CANNONS: are located behind and on either side of the canopy. 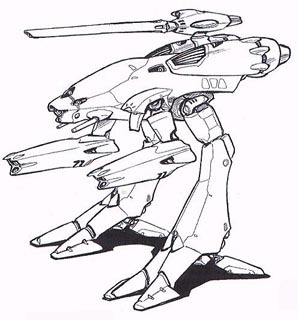 The E-19B is an upgraded version of the E-19 found on the Z-1 battlepod; however, the design and purpose proved so successful that they were added to the VF-1 design. Each laser cannon can fire 6 MJ pulses every 1.5 seconds, 10 times per melee. These weapons are designed to protect the mecha from attacks from the rear. 2 x GU-13S THREE-BARRELED 35MM GUN POD: firing 1400 rounds per minute, 1600 round capacity. Ammunition is a mix of Tungsten-coated depleted Uranium Armor Piercing Spin-Stablized Discarding Sabot (APSSDS), High Explosive Armor Piercing (HEAP) and tracer rounds. This gun is the carbine version of the GU-13 gun pod found in the Alpha fighter. However, due to its shorter barrel, accuracy, penetration, and range are appreciably reduced. Both guns are mounted in the weapon arms underneath the PB-12c. RATE OF FIRE: Single shots or bursts equal to the combined attacks of the pilot. 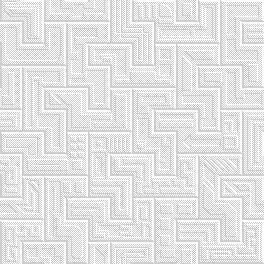 NOTES: APSSDS crits on 18,19,20. HEAP crits on 19,20. Tracers add +2 to strike. HAND TO HAND COMBAT: If necessary, the VF-Z1 can engage in melee combat rather than use a weapon. The VF-Z1 is extremely agile and can execute most typical hand to hand combat moves, such as punches, jump kicks, leap attacks, rolling with impacts, etc. AUTO-PILOT: The VF-Z1 is equipped with a computerized auto-pilot, allowing the pilot to relax or even sleep during long voyages. The auto- pilot can be programmed with a single destination or a complex flight plan involving multiple speeds, directions, and destinations. The onboard computer will alert the pilot when the fighter is near its destination, and can also be set to automatically signal when sensors detect objects near the mecha. The auto-pilot was designed with long intra-system space journeys in mind. COMBAT COMPUTER: The combat computer tracks and identifies specific enemy targets, and has a database of over 10,000 images stored in memory. The computer can identify and track up to 250 targets simultaneously. EXTERNAL AUDIO PICKUP: Range: 300 ft (91.5 m). A sound amplification system that can pick up normal conversation up to 300 feet away. HEAT AND RADIATION SHIELDS: Special shielding prevents the penetration of life threatening head and radiation. A radiation detection and alarm system are linked with the shields and will sound an alarm if there is a rupture in the shields and what the levels of radiation are. HOMING SIGNAL: The escape pod of the VF-Z1 is equipped with a homing device that enables rescue teams to locate a disabled craft or ejected life pod. The range of the signal is 400 miles (640 km). LASER TARGETING SYSTEM: Range: 100 miles (160 km). Used for increased accuracy in the striking of enemy targets and is partly responsible for the mecha's strike bonus. LOUDSPEAKER: A loudspeaker system is built into the craft, which can be used to amplify the pilot's voice up to 90 decibels. OPTICS: INFRARED: Range: 2000 feet (610 m). This optical system projects a beam of infrared light that is invisible to the normal eye, but detectable by the mecha's sensors. The system allows the pilot to detect hidden/concealed objects by their IR reflectiveness. The beam will be visible to anyone with IR sensitive optics, however. OPTICS: NIGHTVISION: Range: 2000 feet (610 m). A passive light image intensifier that emits no light of its own, but relies on ambient light which is electronically amplified to produce a visible picture. OPTICS: THERMAL IMAGER: Range: 2000 feet (610 m). A passive optical heat sensor that detects infrared radiation projected by warm objects and converts that data into a false-color visible image. The system enables the pilot to see in the dark, in shadows, and through smoke, and also adds a +10% bonus to pilots using a tracking skill. WESTINGHOUSE APG-140: X-band spherical pulse doppler medium range radar. 100 mile range. RADIO/VIDEO COMMUNICATION: Long range, directional communications system with satellite relay capabilities. Range: 600 miles (960 km) or can be boosted indefinitely via satellite relay. SELF-DESTRUCT: To prevent capture of an advance variable fighter by the enemy, the pilot can activate the VF-Z1 self-destruct system, which will cause the fighter to explode after a delay of up to 60 minutes (time is set by the pilot). The explosive damage is contained within a 20 foot (6 m) area and inflicts 1D6x10 M.D. to everything within the radius of the explosion. All internal systems are obliterated. The escape pod will be automatically ejected prior to the explosion unless the pilot overrides the ejection sequence. TACTICAL LIFE SUPPORT SYSTEM: The VF-Z1 cockpit is pressurized, and also provides additional air feeds to the pilot's flight suit that provides him with pressurized breathing. The flight suit also contains an upper and lower g-suit that promotes blood circulation even during high-g turns, thus decreasing the possibility of pilot's blacking out in combat. 4 attacks per melee (plus those of the pilot). Add one additional action/attack at levels five and ten..
+5 to dodge in battle pod, +6 in jet mode. +4 to roll with a punch or fall with an impact, reducing damage by half. Critical strike same as pilot's hand-to-hand.